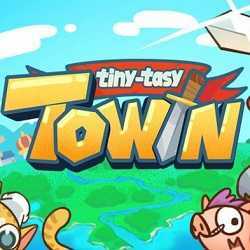 Tiny Tasy Town is an Adventure, Casual and RPG game for PC published by INDIECN in 2018. Save, your territory, the land full of weeds and the monsters! You need to collect a variety of resources to build various facilities to enrich their own town. In order to attract all kinds of residents and adventurers to live in the town.